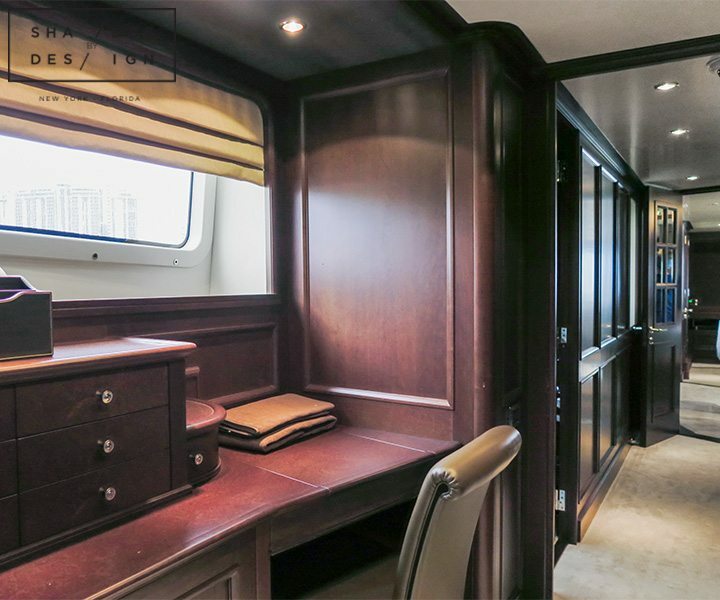 We were first called to this yacht to motorize existing roman shades. 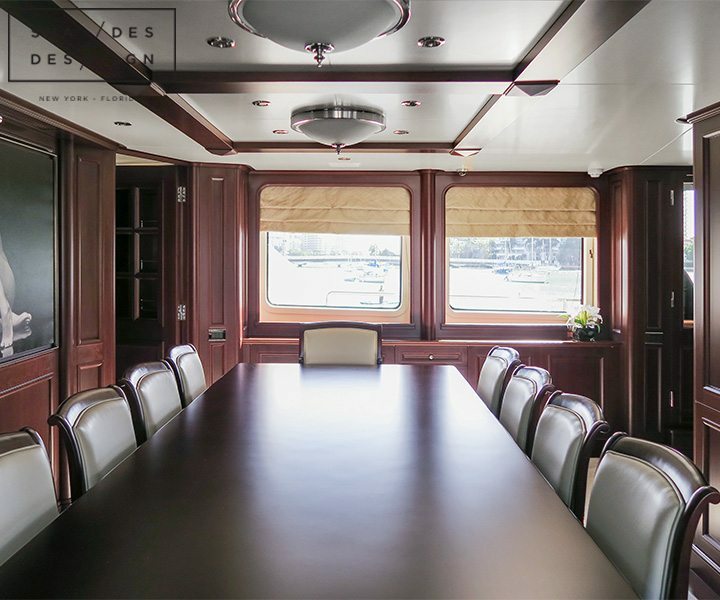 When we arrived at this luxury vessel we came to the agreement that the shades were a bit outdated. 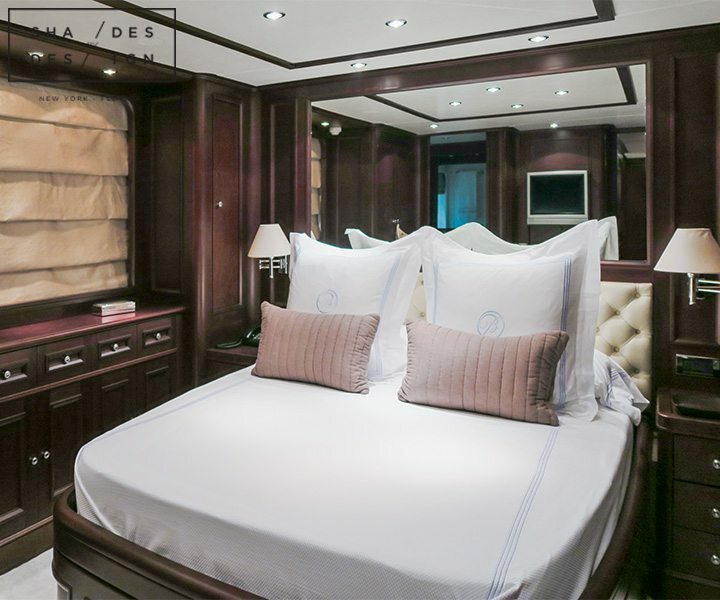 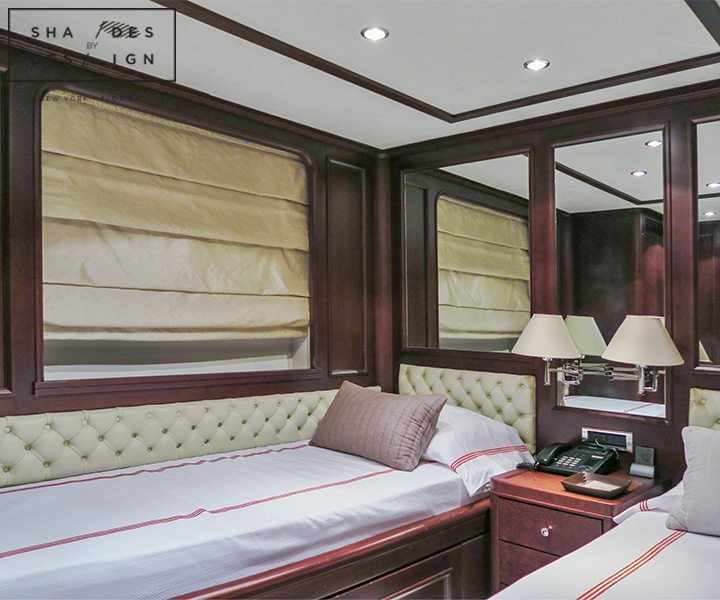 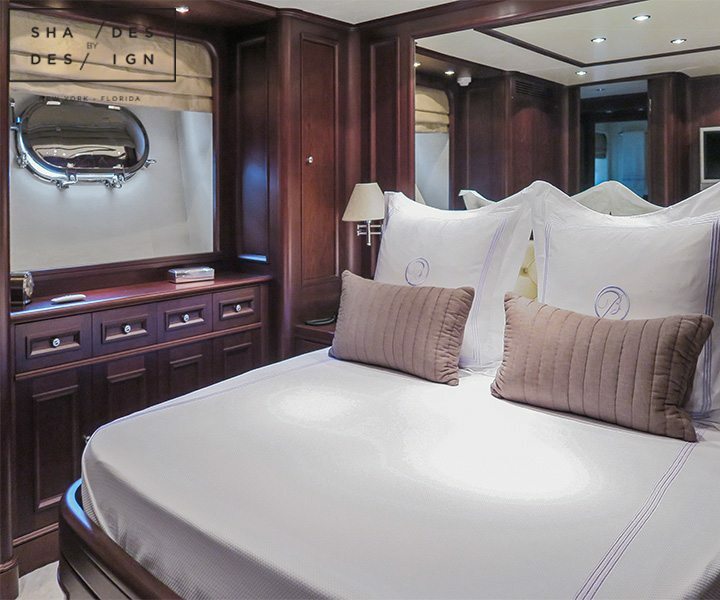 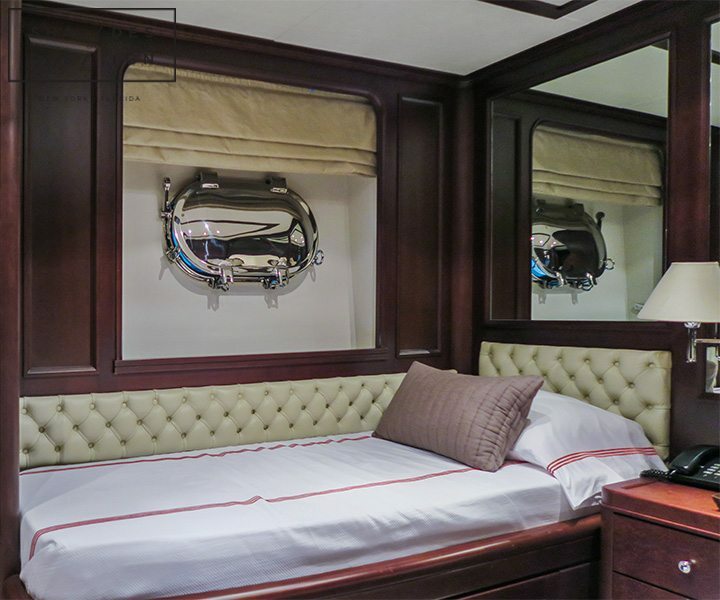 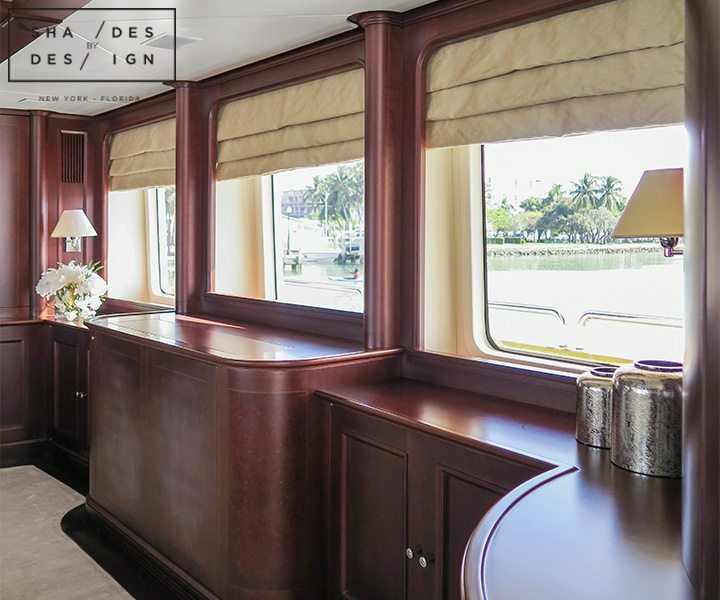 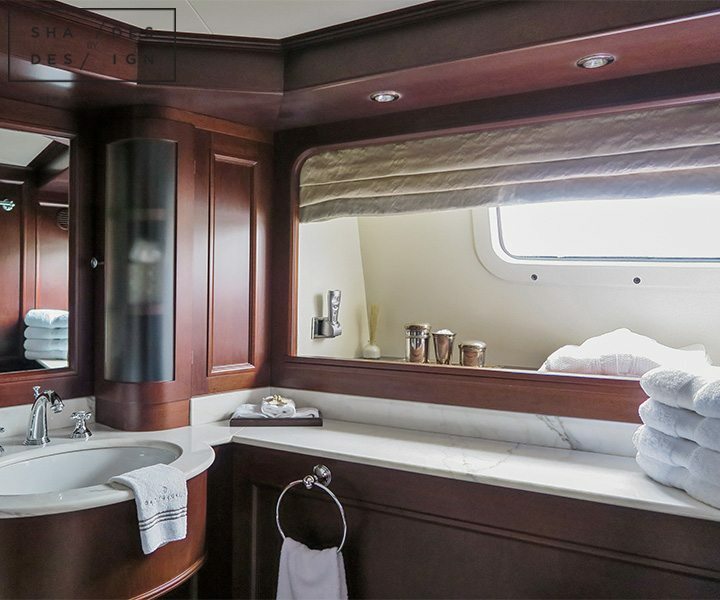 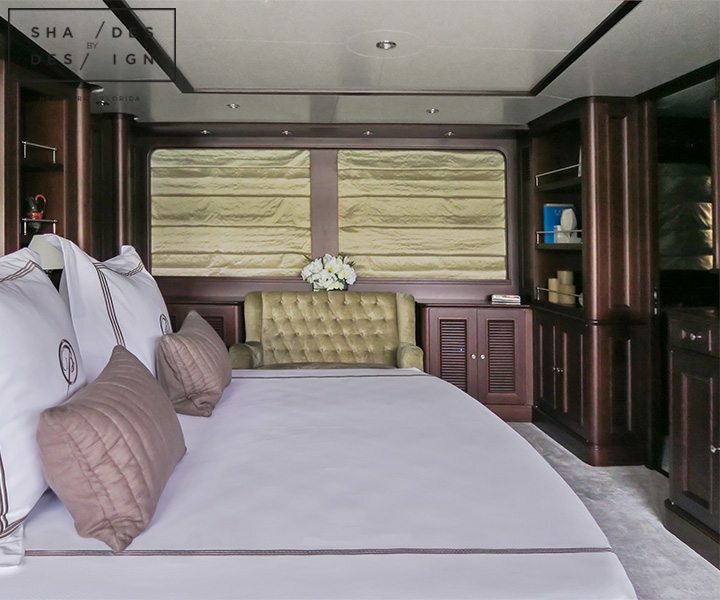 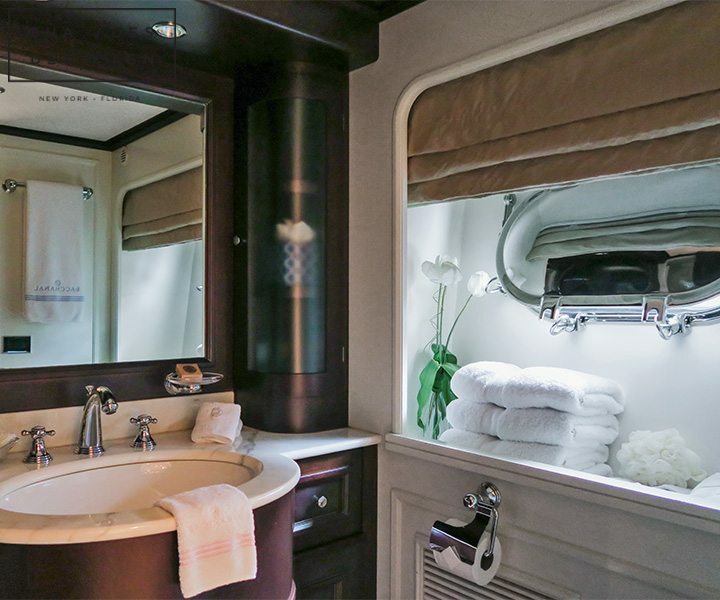 To create a nice motorized window solution with more modern shades that fit the yachts décor, we used Calvin Klein silk fabric for the roman shades and Somfy battery operated motors and controllers, which made this installation quick and painless. 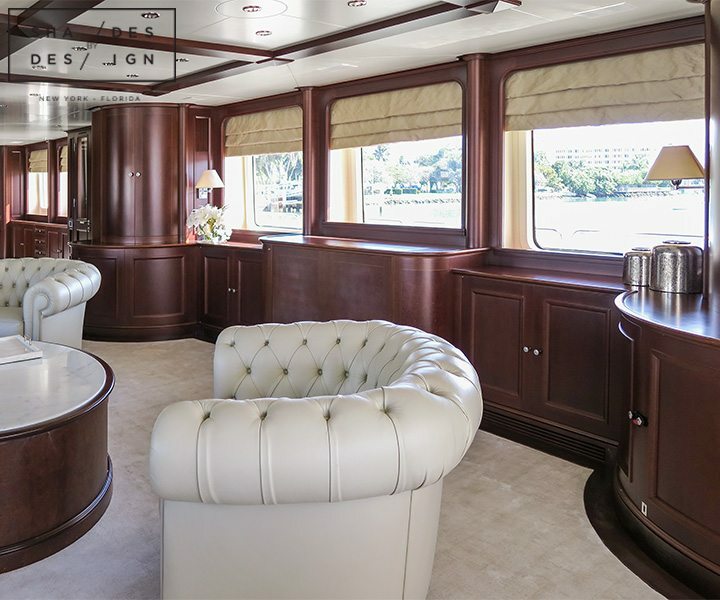 Our client loved the work so much, he decided to have us treat the entire yacht rather than just the few we originally were asked to do. 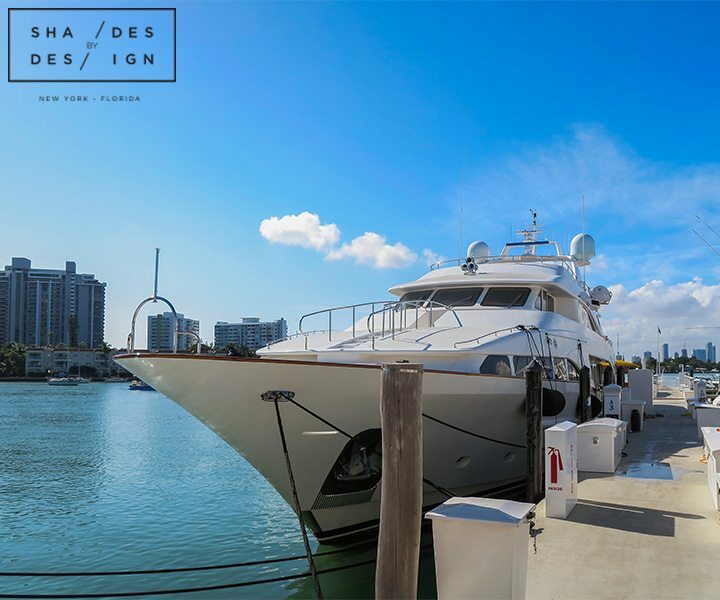 If you have a yacht that requires a creative custom design, Shades By Design is at your service!